If you are planning to have a lawn that is healthy and bouncy throughout the entire year, you will definitely need to make sure that your lawn is taken care of in different seasons. This includes taking care of your lawn during springtime. If you fail to do so, you might end up with a lawn that is dull-looking throughout the entire year. There are several ways that you can do so. The following are some spring lawn care maintenance tips that you can definitely take into consideration. One good thing about taking care of your lawn during spring time is that it is not as difficult as maintaining it during summer time. One of the main tasks that you have to consider is raking your lawn. One benefit is that it can keep the grass looking their best. You can easily remove the leaves, even controlling thatch. Another good advantage of this task is that it can easily remove dead grass that is left over from the previous season. Winter can turn out to be a harsh time for your lawn, so you can also expect some excess dead grass afterwards. During winter time, your lawn suffers from being neglected. Because of this, you may have to do some work to get it back to its former glory, but the tasks included may turn out to be quite daunting. Fertilizing is one thing that you can also do during springtime. This is the perfect timing because winter just passed, and you are also preparing your lawn for the succeeding seasons afterwards. It is a very easy and hassle-free process, especially if you love gardening and do not have enough experience. 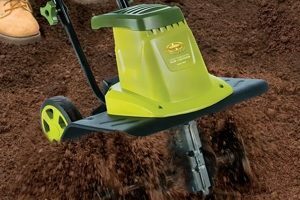 With this, you have the option to use fertilizers of your choice such as organic fertilizer, or even a mulching mower. Both strategies are known to be simple and inexpensive. On the other hand, if you prefer to use chemicals, it is also important to make sure that your chemical of choice does not put the health of your plants at risk. Another process that you may want to implement during spring time as part of your lawn maintenance is aeration. This is particularly useful especially if your lawn is heavily subjected to traffic all throughout the entire year. If you notice that your lawn is stiff and compact-looking, one reason may be because of the lack of aeration. The process of aeration ensures that the grass stays thick and lively. Aeration of your lawn is often the best remedy to soil compaction, unless the problem is extremely serious. Overseeding is another procedure that can be done during springtime. If you have a soil patch without grass growing on it, you may have to overseed. Overseeding refers to the process of applying a quick-release nitrogen right after the grass has already germinated. While some may not recommend performing this process during springtime, if you can do it, you no longer need to postpone it until fall. Aside from taking care of the physical appearance of lawn, another thing that needs to be taken into consideration is dealing with the weeds in your lawn. One way to deal with the weeds is by mowing and trimming them. With the help of a high capacity trimmer and edger, you can work towards beautifying your lawn, making it as perfect as you want it to be. 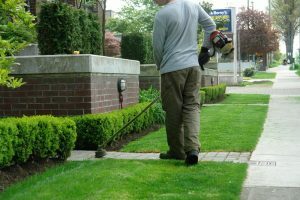 While you have the option of hiring the services of a reliable lawn maintenance service provider, you can also decide to invest in a good trimmer and edger so that you can perform your lawn care anytime that you want to. If you already have a mower, trimmer or edger, make sure that you have already given it a tune up. This means that it should already be in good working condition before you start using it. Otherwise, it might be challenging to use and maneuver. As a matter of fact, if not done correctly, you may even cause severe damage to the grass and your lawn in general. Since it is spring time, make sure that you change the oil, filter, as well as other parts that may need special attention. Dull blades may only make the mowing a whole lot longer because it cannot effectively cut the grass. Therefore, it is important to sharpen the blades of the mower as well. Also, you do not have to panic just in case you do not know how to tune up your tool. You can always seek the assistance of an expert to do the job for you. Even though you may have to pay a small amount, you can expect a fully efficient mower to do the job for you. Crabgrass and other weeds are the type of grass that can easily pop up at spring time. 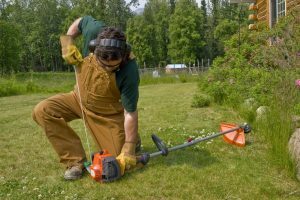 Therefore, it is best to check the entire lawn, removing the right away the moment they appear, and before they start to produce seeds and eventually multiply. You may choose to pull them up manually if you are into organic gardening, or you may depend on weed control for convenience. The earlier you detect and control them, the better, since they will no longer have the time to spread out and eventually ruin your lawn. These weeds need to be pulled out rather than just trimmed, compared to other weeds. There are different kinds of trimmer and edger that are currently available in the market these days. All you need to do is to identify the features that you want to have, and make sure that they are found in the particular equipment that you choose. Aside from that, you may also want to consider the amount of convenience that it offers, such as whether it is corded or cordless. Budget is also another thing that you can look into.